"Winning your sponsorship deal" is a workshop organized by KCM Career Club on November 24, 2017. The workshop's aimed to provide vital knowledge about the productive ways to pitch any events or ideas to the respective sponsors. 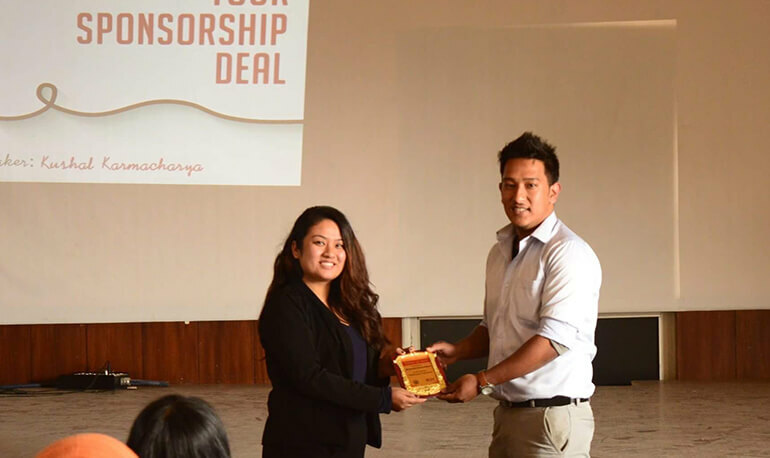 We had Mr. Kushal Karmacharya, Cofounder of SP Events and Advertising to conduct the workshop in helping students in acing their pitching skills with better steps acknowledging the idea and vision in a proper manner.